RadiaXon Latex Gloves offer the highest attenuation levels available, providing skin dose reduction of 59% at 60kVp. These gloves are lead-free and non-toxic for environmentally friendly disposal. 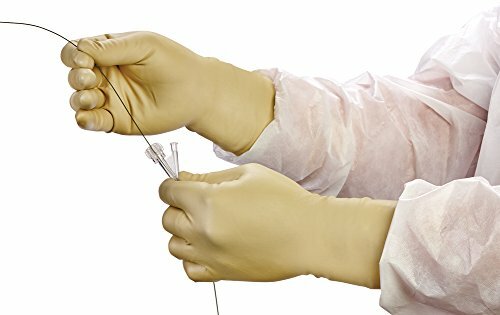 RadiaXon Gloves are for the surgeon who prefers the fit and feel of latex; the finger tips are a minimum of 0.3 mm thick, to provide excellent tactile sensitivity. The textured surface on the palm and fingers provides excellent instrument grip and the anatomical, curved fingers reduce fatigue. The beaded cuff ensures easy donning and helps prevent roll-down. If you have any questions about this product by RadiaXon, contact us by completing and submitting the form below. If you are looking for a specif part number, please include it with your message.